It’s a blazing hot summer in Norfolk when a construction crew unearths a downed American fighter plane from World War II with a body inside. Forensic archeologist Ruth Galloway determines that the skeleton couldn’t possibly be the pilot, and DNA tests identify the man as Fred Blackstock, a local aristocrat long presumed dead — news that seems to frighten his descendants. 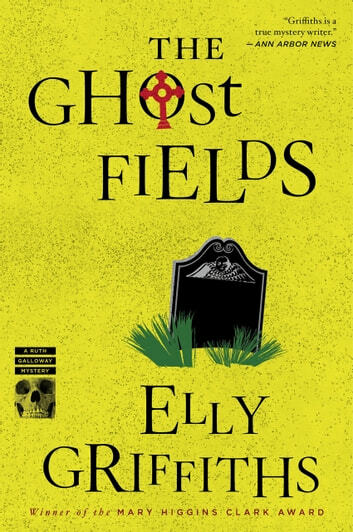 Events are further complicated by a TV company that wants to make a film about Norfolk’s deserted air force bases, the so-called ghost fields, which the Blackstocks have converted into a pig farm. As production begins, Ruth notices a mysterious man loitering at Fred Blackstock’s memorial service. Then human bones are found on the family’s pig farm and the weather quickly turns. Can the team outrace a looming flood to find the killer? 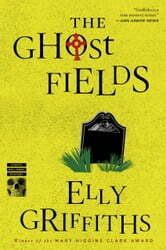 This is the last I will read of Ella Griffiths. So absolutely hard to fathom her making Ruth forever pine for someone else's husband. A bit tough to take. The Archeology interesting but the Ruth character no longer believable. Should have been with Frank.